Gorgeous new construction from respected Decatur builder Lockman Homebuilding. 5br/4.5ba + full finished basement. Sun-drenched kitchen features Jenn-Air appliances, butler's pantry, walk-in pantry & breakfast room; 4BRs up + main-level office/playroom + basement rec room, media room and bedroom w/ bath. Screened porch overlooks level fenced yard; carport w/ garage door + storage + extra-wide driveway. Amazing location--stroll to MARTA, Glennwood Elementary & Downtown Decatur. 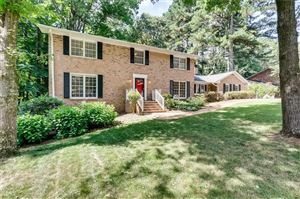 Minutes to Emory/CDC & North Decatur shopping district. City of Decatur schools! Data last updated: 4/18/19 2:26 PM PDT.